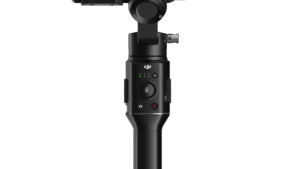 While the Freefly MōVI changed the game for shooting with camera movement, it was inevitable that gimbals would get smaller and lighter to the point where a shooter could use a small camera to run and gun one handed. 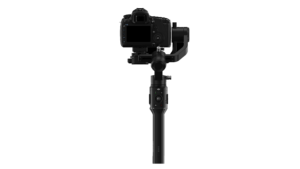 But while that meant either shooting with your smartphone or GoPro style action camera, few have used the handheld gimbal with a DSLR or pocket style digital camera. There out there to be sure, but it took DJI to really refine the design, and the Ronin-S is now available for pre-order at under $700. 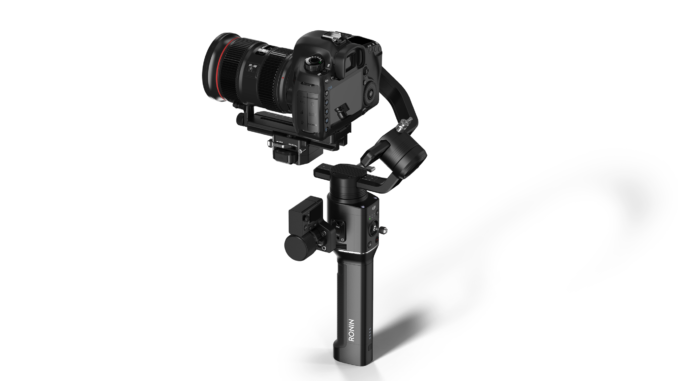 Using a mix of DJI’s powerful three-axis gimbal technology, coupled with Manfrotto’s quick release system, the DJI Ronin-S offers a payload carrying capability of up to eight pounds, making it ideal for carrying DSLRs and Mirrorless Interchangeable Lens cameras. From something as hefty as the Canon 1D and 5D, to lighter mirrorless varieties, including the Panasonic GH5 and Sony Alpha series, the Ronin-S can not only balance between the two in seconds, it can also compensate with large zoom lenses and in-lens optical image stabilization. The Ronin-S has a new push mode, which can adjust pan, tilt, and roll and an auto tune function which can automatically balance your camera based on the equipment you’ve added so you can get up and running within seconds, not minutes. The Ronin-S can also adjust for camera movement at speeds tested to 47mph while carrying a GH5 with a nifty fifty attached, so a running camera operator should have no problem dampening out his footsteps while grabbing a foot chase. Smoothtrack adjustment if speed, acceleration and deadband of each axis. Save movements in up to three custom profiles, toggling between them with dedicated M button. The Ronin-S also has a twelve hour battery life through the built in battery that does double duty as the handle. A simple flick of the lock pin and a user can slide out the battery and replace it in seconds. 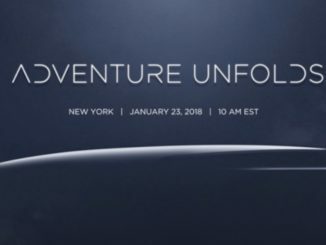 And in July, DJI will release a new firmware update which will bring with it camera parameter control. 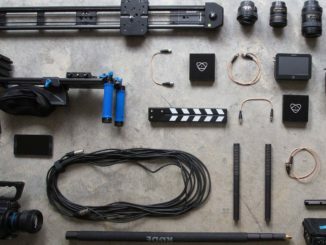 Other accessories available for the Ronin-S include Focus Command Center consists of a menu screen, allowing for advanced gimbal, camera, and focus control without a mobile device; DJI Force Pro; DJI Master Wheels; the Ronin 2 remote controller; and an external focus motor for manual lenses that pairs with the included Focus Wheel. 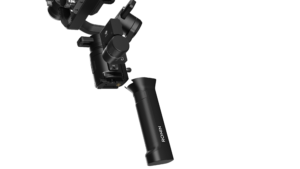 The Ronin-S can also be used with the DJI vehicle mount, jib mount and the dual-handle system for when an added level of comfort and stability is required. 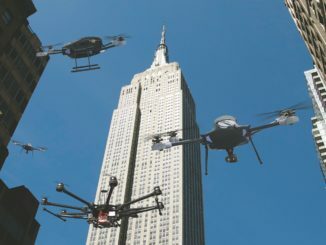 The Ronin-S will retail for $699 USD with pre-orders beginning today, May 29th, at www.dji.com, DJI flagship stores and authorized dealers worldwide, with shipments starting in late June.